Season your food with spooky! 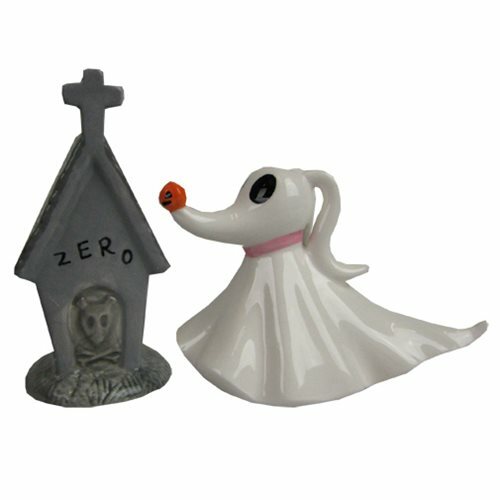 The Pumpkin King's ghost dog and his diminutive domicile make this The Nightmare Before Christmas Zero and Dog House Ceramic Salt and Pepper Shaker Set a fantastic gift for any devoted fan of Tim Burton's 1993 stop-motion animated film. Hand wash only. Not dishwasher safe. Ages 13 and up.